This week over at Studio Katia we’re previewing products from the upcoming release. 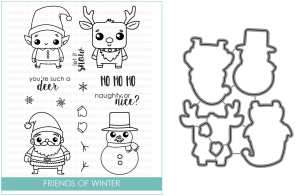 And the product I’m focusing on today is super fun Friends of Winter Stamp Set. I love these cute friends! I used one of the images (a deer) from the Friends of Winter Stamp Set to create a main character for my project. 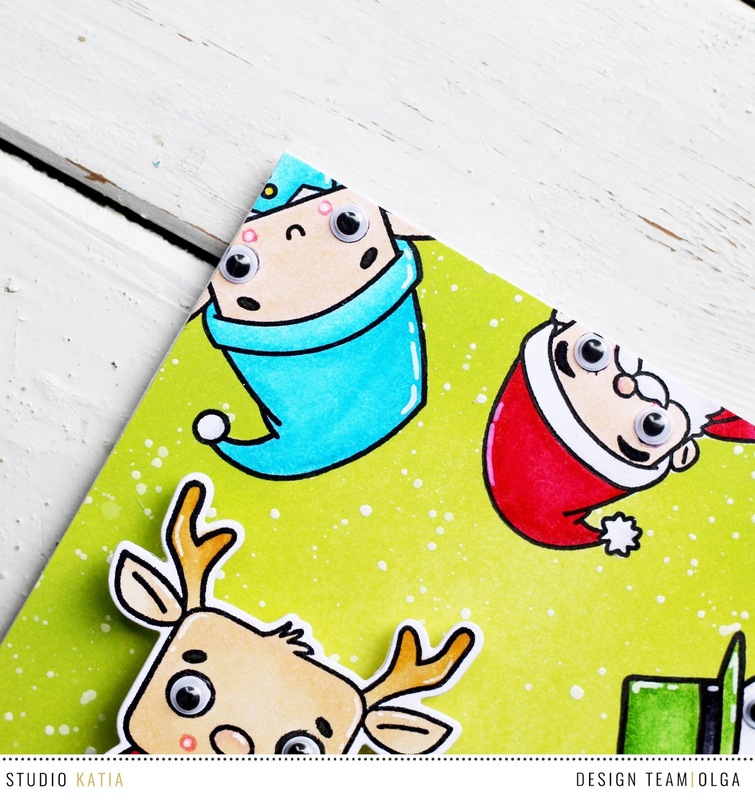 You can also use a Santa Claus image or an Elf, or Snowman, really. So I stamped a deer image, die-cut and colored it. 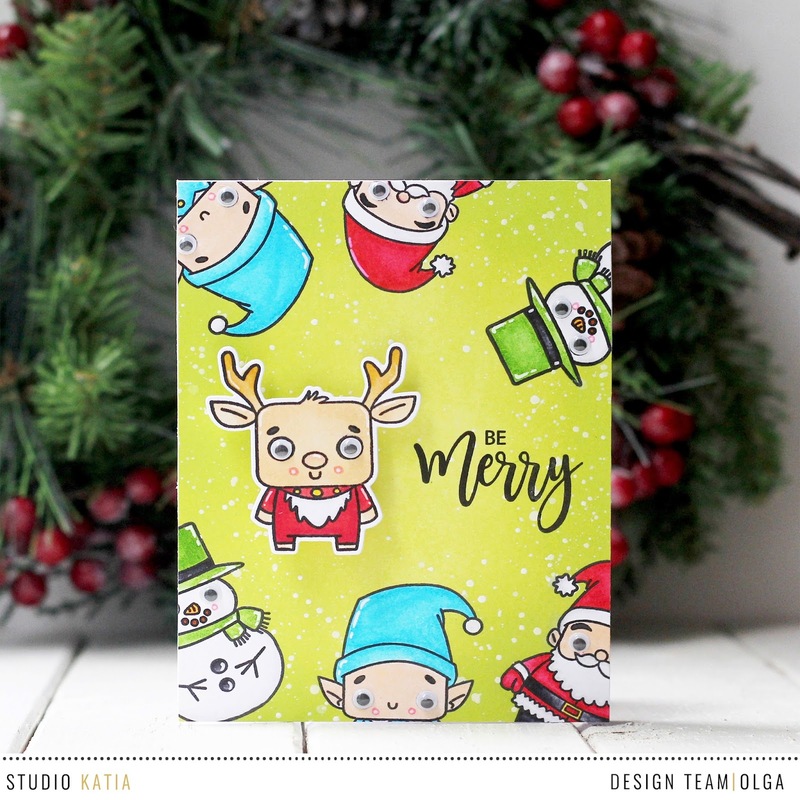 I stamped “be Merry” sentiment using black ink onto my cardstock. And I wanted to add some additional stamping to the background. So I stamped friends images framing the main panel. Then I colored them all using Spectrum Noir markers. I masked these images. The card base was blended with green inks. And I adhered the cut out deer onto the card using a wobbler. You can see it in action on the photo below. 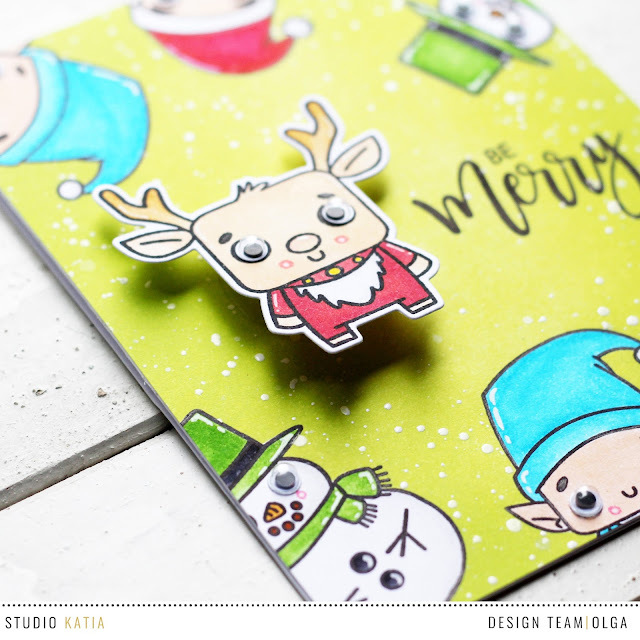 I hope you have enjoyed this look at Friends of Winter Stamp Set & Coordinating Dies! Come back tomorrow for the Big Reveal of our Release and a Blog Hop filled with fabulous and inspiring projects! Absolutely adorable ! I love the dimension !